I’m kinda sad this adventure is coming to an end—but I might be too tired to feel feelings anymore, so I think I’ll make it. I’ll relish in the lessons I’ve been taught—about gratitude, not filling my days with meaningless stuff, like doing too much and cleaning (at the end of a trip, I’m always ready to hire a housekeeper) and trying to be someone other than who I actually am. Travel, aka being away from who I think I’m supposed to be, to having time with myself to figure out who I actually am, helps to bring life into better focus. Travel in the third world does something I can’t fully put into words, but gratitude and sharing come to mind. Since I am developing a pressure sore on my back, I’d say it was time to call the travel time. Planes, trains and automobiles—all in a 48 hour period. Whew! We know how to stretch the kids and jam our schedules full. 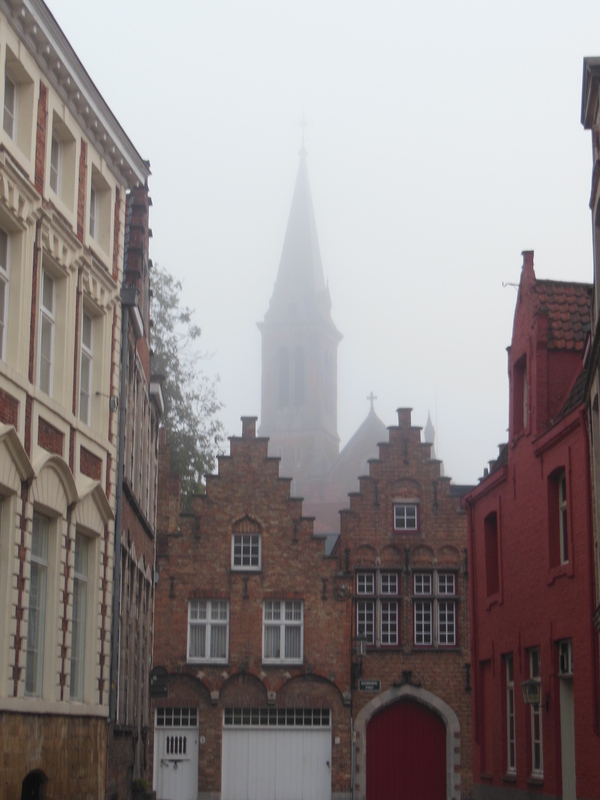 The Belgian countryside was akin to that stretch between Chilliwack and Abbotsford, British Columbia, but more pastoral, architecturally older, and dotted with robust, brie-producing, edam-producing, gouda-producing cows. The kids can refill their empty dairy tanks. Oh, you think we were in the Netherlands? Right, right. We did fly in from Ghana a couple days ago. But we took a breather long enough to gear ourselves for say, twelve hours or so, and trained it to Belgium. Amsterdam to Antwerp to I forget to Bruges. Yup, that would be three trains with a one hour layover. Madelyn pulled out her English accent to formalize her behavior. 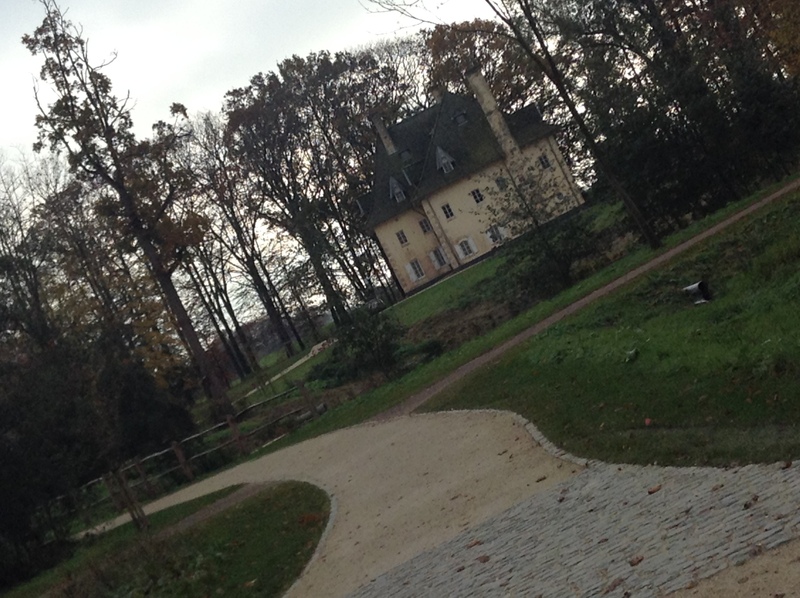 Ya, you’re right, we’re in Belgium, not Britain. They’re either Flemish or French, not English. Kind of hard to resist when the packed dining room is as silent as a library. 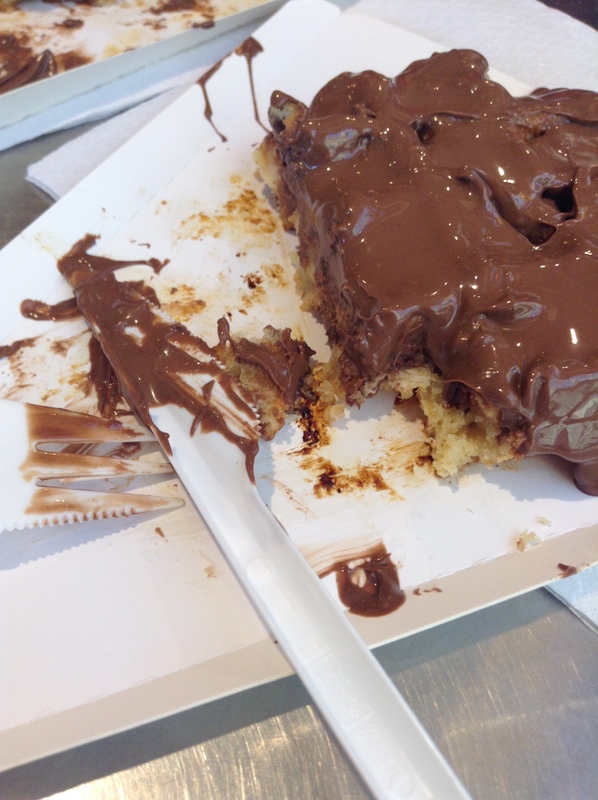 I suppose my four could have stopped talking altogether, but…we’re a family that doesn’t do rollicking laughter, but doesn’t do silence… So serene was the environment that I declined my tourist food selfie. A canal cruise through this tiny ‘Amsterdam’, table d’hote for 80 euros, Belgian chocolate boutiques. Bruges doesn’t see a lot of kiddos. 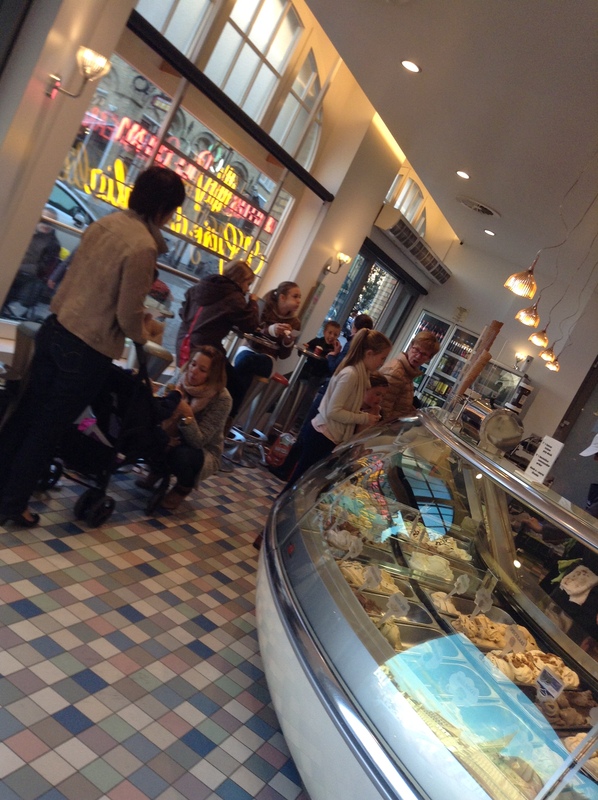 We were .2 km from one of the most famous Belgian chocolatiers in the world… Disneyland for premenstrual forty year olds. 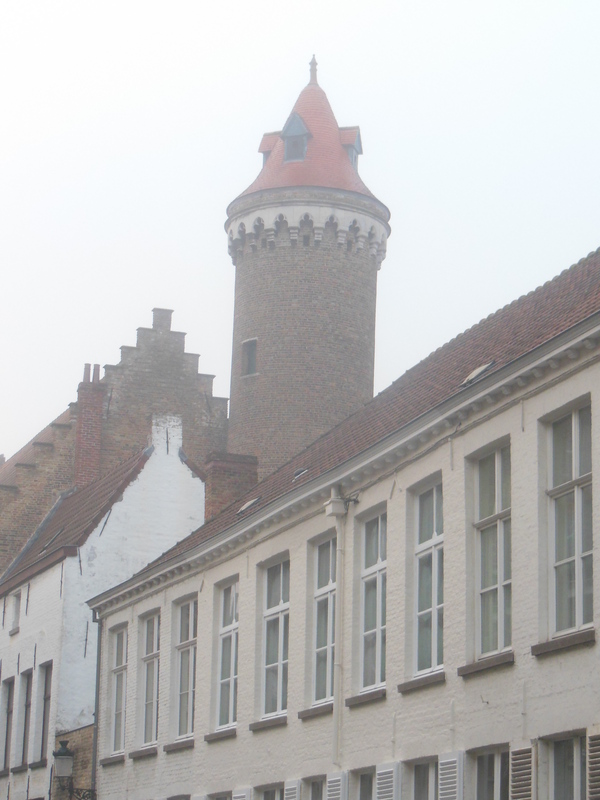 Bruges is so charming, so romantic that the next time we head here, it will be minus four little people. No matter. We weren’t here for long. 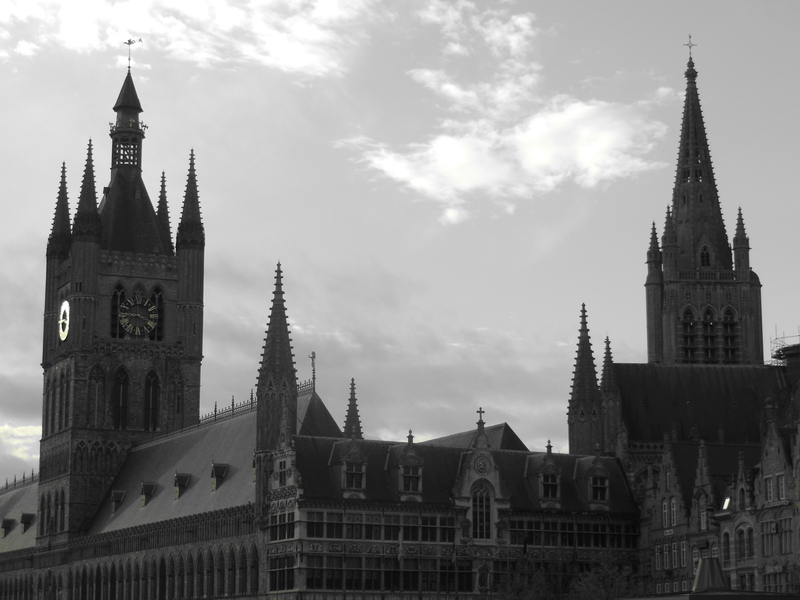 After we’d settled in our new room for nine hours, we were picked up for a forty five minute ride into Ypres, famous for its World War 1 four long year battle. We listened to Jim and the tour guide talk about FIFA and cow C-sections and Canadian politics. We learned that our tour guide grew up in Ypres. When I asked him if he was a world war history buff, he responded, “Of course”. What was I thinking? A tour guide. From Ypres. Today would be the day that I could fully explain to Zach why the world war really started. He spontaneously asked me a few months ago. “I dunno. A guy named Archduke Ferdinand something something was shot”. Apparently that wasn’t enough of an explanation. I would actually think that my husband’s world war history prowess would be genetically delivered. This day was cool for Zach, but Disneyland for Jim. And it was a delight to share it with him. Who knew that all that grade twelve history stuff, that I thoroughly ignored a few years ago, would surface as one of my husband-to-be’s favourite topics. Ida never guessed. It was a day of stopping and starting, more museums than even I could take in. But profoundly affecting. From Lange mark, Passchendaele, Flanders’s Fields, Ypres, the Brooding Soldier and John McCrae, we have covered the Belgian front. 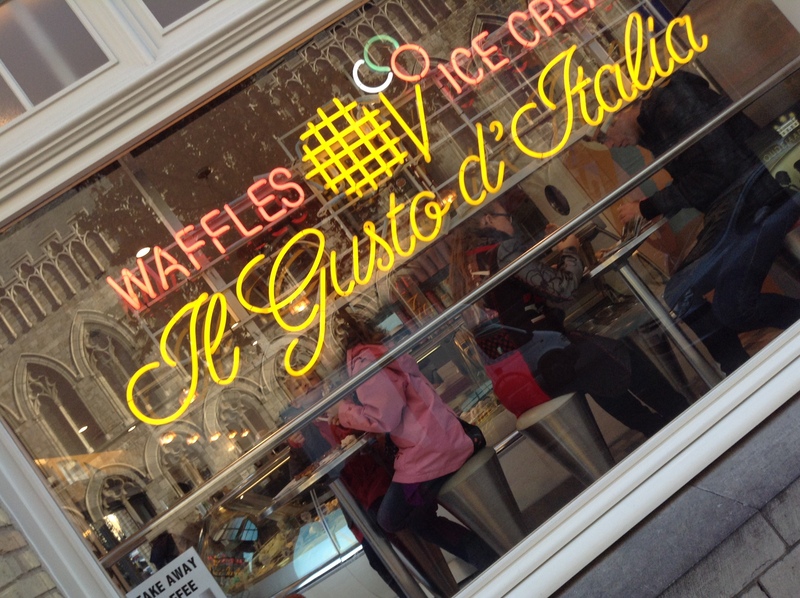 We did get those Belgian waffles—those sticky sweet grids smeared with Nutella. 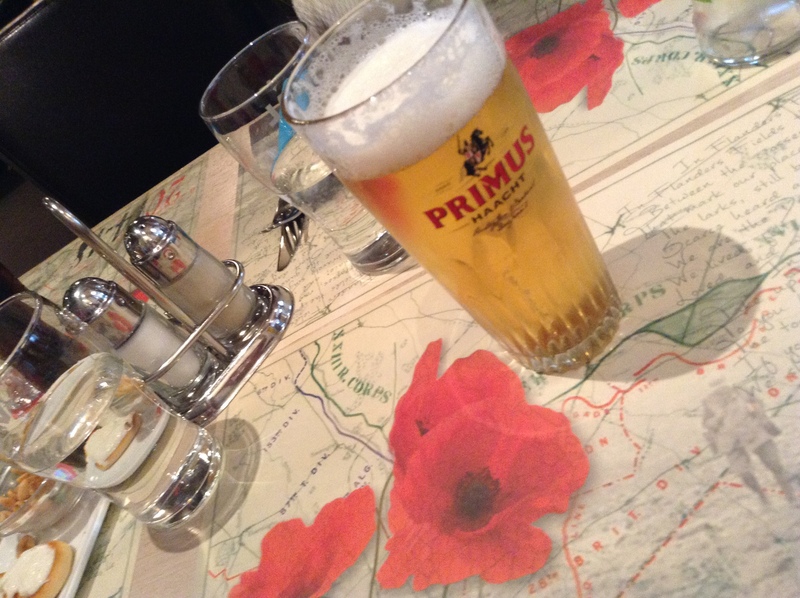 We tried a Belgian beer with lunch. 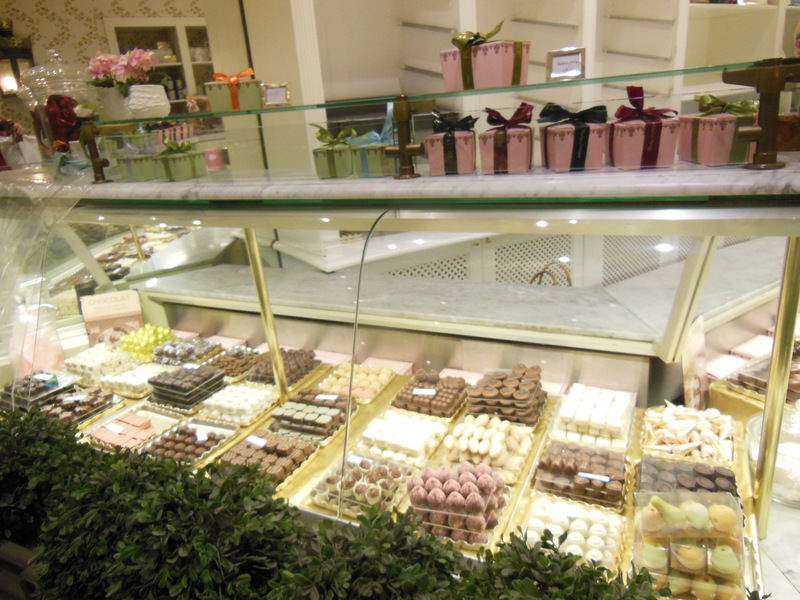 And we did find a chocolate shop. With Remembrance Day just around the corner, I will save the fantastic Ypres tour for next week. Follow me over to my regularly scheduled blog, capturingthecharmedlife.wordpress.com some time next week, after I’ve recovered from jetlag.